Denis Dale wraps up all the latest news on the elite senior amateur golfing scene from around the country. Six foursomes matches were scheduled for the opening session with both teams keen to start with a winning result and establish a lead over their opposition. First up for Australia were Lester Peterson and Stefan Albinski who had drawn the top ranked pairing of Michael Barltrop and Brent Paterson. In a high-quality match with all four playing very good golf it was first blood to New Zealand when they recorded a 2&1 victory. The second match saw the NSW pairing of Ken Brewer and Geoff Cranfield up against the experienced John Sanders and Stu Nicholls, the latter was undefeated in the 2017 series. Playing exceptional golf Brewer and Cranfield proved far too good for the Kiwi pairing and recorded a comfortable 4&3 win. Next up were the Queensland pairing of Steve Toyne and making his debut for the Australians, Brad Dowling. In a close match with never more than a hole between them all day the final result was all square. A fitting result and the teams were tied. Australia was then represented by the Victorian pair of Gordon Claney and Ian Frost, a strong combination. However, the New Zealand pairing of Stu Duff (the winner of the New Zealand Senior Championship a few days prior) and newcomer Bob Shirley proved too strong for the Aussies winning 4&3. The New Zealanders had the lead again. Our next pair saw South Australian John Davey teamed with newcomer Paul Chappell. Their opponents were the very experienced, and always tough to beat, Frank Borren and Martin Webber. In another close match the Australians were one up playing the eighteenth. As he has done many times before Borren birdied the last to square the game. The final match saw the top ranked Aussie pairing of Greg Rhodes and Kym Olsen. Their opponents were the very talented John Batley and the newcomer (but local member) Martin Holman. It was a good match but the Kiwis proved a little too strong and closed out the match 3&2. The morning foursomes had gone the way of New Zealand and they took a 4 matches to 2 lead into the afternoon fourballs. A break for lunch before the Australians and New Zealanders were back on the course doing battle again. This time the two countries were playing fourballs and some exciting golf was assured. Lester Peterson and Geoff Cranfield were first up for the Australians who were keen to wipe out the two-match deficit. Their opponents were Michael Barltrop and Stu Nicholls and in a see-sawing match the New Zealand pair came to the final hole one up. This time it was an Aussie birdie by Geoff Cranfield that squared the match. Stefan Albinski and John Davey faced the might of New Zealand in Brent Paterson and his partner Martin Webber. Paterson was at his best and gave the Australians no chance and was 5 under par himself when the match finished at the fourteenth. A win for the Kiwis. Australia badly needed a win and the pairing of Steve Toyne and Paul Chappell gave them the point they needed. They played beautiful golf and combined nicely to defeat Murray Martin and Frank Borren 5&3 with a great birdie by Toyne on the fifteenth. Next up the Aussies had Greg Rhodes and the in-form Ken Brewer. They faced the pairing of the very experienced and local member at Christchurch John Sanders who was partnered with Stu Duff. A great match was anticipated. In a game that was close throughout the Kiwis trailed by one hole with three remaining. A great 30-foot putt for a birdie on the difficult sixteenth by Duff squared the match. Duff then repeated the putt on the seventeenth for another birdie and they came to the last one up. Birdie putts by both Australians lipped out and the match was New Zealand’s. Gordon Claney and the Queensland newcomer Brad Dowling were next, and they were drawn against the tough competitors Reg Fleet and John Batley. Australia needed a win but the New Zealand pair gave nothing away and in a close match eventually came out in front with their victory on the seventeenth hole courtesy of a Reg Fleet putt. The Kiwis had lengthened their lead and with one match remaining Australia was desperate for a win. Kym Olsen and Ian Frost did not let Australia down and they easily accounted for Bob Shirley and Martin Holman 4&3. The result of the fourballs was 3.5 matches to New Zealand and 2.5 matches to the Australians. The deficit had increased by one and the Australians now trailed by three matches. A lot to do in the individual matches the next day! The Aussie and Kiwi teams … the baddies are in the black! Australia knew what was required when they teed off in the individual matches. Win the early matches and wipe out the three-match deficit. Easily said but the plan was to win the first four matches and hold on from there. Australia chose the very experienced and always tough to beat, Stefan Albinski, to lead the team off. His opponent was the tough competitor Martin Webber. Albinski was down early and approaching the turn was 2 holes behind. He then rallied to be one up after sixteen and thanks to a miraculous up and down on seventeen was able to clinch the first point with victory on the last hole. Geoff Cranfield started with a tremendous flurry to be three up at the eleventh. Things were looking good for the Australians but a late stumble by Cranfield saw Stuart Duff win four holes in a row and when the Australian missed his birdie putt on eighteen it was a very valuable point to the New Zealanders. The wily veteran who is no stranger to match play pressure, Lester Peterson, was next and he faced Frank Borren. A tough fought match that saw the Australian with a narrow lead most of the day and when Peterson made a good par on sixteen the match was Australia’s. We were now two matches behind. John Davey was up against the local player Martin Holman and in a close battle it was Davey who prevailed. Solid pars on the closing holes saw Davey close out the match for a 2&1 victory. One behind! When Ken Brewer faced John Sanders it was sure to be a tough match. Sanders has a tremendous record in Sanctuary Cove matches but Brewer was not to be denied. Playing sensational golf the match ended when Brewer nearly holed out on the par four fifteenth. Australia was now level with the New Zealanders and the impossible seemed within reach. Brad Dowling for Australia was up against Bob Shirley for New Zealand. With Australia a chance every match was important. Dowling tried hard but was never in control of his match and eventually New Zealand had regained the lead when Shirley won at the seventeenth hole 2&1. Next match saw the Queenslander Steve Toyne up against Murray Martin. Toyne started slowly and lost the first three holes but Toyne is a real fighter. Slowly he clawed a few holes back and he hit the lead at the fifteenth with a great birdie just when it was needed. Toyne was to win at the seventeenth, also 2&1. Australia had fought back well now had the lead by one match but the New Zealanders had their best players still to come. News came through that Brent Paterson was again on fire and he won his match against Gordon Claney 5&4, Paterson was 5 under par when the match ended and was clearly the form player of the tournament. Similarly, John Batley was well in front of the Perth newcomer Paul Chappell and he safely parred the last few holes to win his match 5&4. Batley, a past New Zealand Seniors champion, also finished under par in winning his match. New Zealand now needed one more point to reclaim the trophy. Three matches were still playing and Australia needed to win them all. Number one player Greg Rhodes, the current Australian senior champion, was up against Michael Barltrop, another past New Zealand senior champion. In a match of the very highest quality Barltrop was four under par when the match ended in victory to Rhodes at the seventeenth hole. One down at the turn Barltrop played the next eight holes three under but amazingly lost ground to the talented Australian. Greg Rhodes proved he is just the player Australia needs when the pressure is on. A valuable win for the Aussies. Stu Duff, the reigning New Zealand Seniors champion, was playing solid golf and he was in control of his match against a gallant Kym Olsen. Fighting a back injury, Olsen played well, but when he fell to Duff 3&2 the Kiwis had the one point they needed and the trophy was again New Zealand’s. The last match continued and went Australia’s way with Ian Frost defeating the tough little fighter Reg Fleet in another close match. Frost won his match 2&1 and although that gave the Australians victory in the Individual matches by seven matches to five the overall result went to New Zealand twelve and a half matches to eleven and a half. Australia had fallen just half a game short of holding onto the trophy they had won at Sanctuary Cove Golf Club in 2017. Once again there was nothing between the two teams. In the last four years the results have been 13-11, 13-11, 12.5-11.5 and 12.5-11.5. Australia has won only one of these close encounters and will be trying even harder when next these great rivals continue their ongoing battle. Scoring was red hot in the 2018 Gardiners Run Senior Amateur as Kerry Boehm (Patterson River) and Sue Lush (Gardiners Run) were crowned champions at the beautifully manicured course. Boehm shot a remarkable 3-under-par 69 off the stick. It was a day out for Boehm, who plays off 6, and he commended the club for the great condition of the course and for hosting such an enjoyable event. An unlucky second went to The National’s Simon Bracegirdle who had a terrific score of 70. The nett prize was won by Peter Turner (Kooringal) who played off a daily handicap of 13 and recorded a nett 68. His victory was claimed on a countback from Sanctuary Lakes’ Gary House who also had nett 68 off a daily handicap of 8. In the Women’s section, Sue Lush used her local knowledge to her advantage and the Gardiners Run member finished with 26 points in the Women’s scratch stableford event. Christine Doherty, Ian McCleary, Heather Harley, Adam Charleston – winners at the 2018 Kooringal Seniors. The 2018 Kooringal Senior Amateur wrapped up with some come from behind victories in most sections. Ian McCleary (Kooringal) returned a second round of 5-over par 76 that gave him a one-shot victory over John Owen (Barwon Heads) to take the men’s gross honours. McCleary sat one shot back after round one but his knowledge around his home course and the greens that proved to be tough this week gave him an advantage over the field. Alan Bullas (Portsea) and Geoff Charnley (Rossdale) shared equal third on 152. The nett title was awarded to Adam Charleston (Lonsdale) who stormed home from 16th place overnight. A 67nett round catapulted him to the top of the leaderboard narrowly edging out Brian Spalding (Kooringal). Heather Harley (Kooringal) remained at the top, maintaining a 7-shot lead over runner-up Sue Lush (Gardiners Run). Helen Drake (Dorset) put in another consistent round and kept Denise Doolan (Kooringal) at bay in fourth place. Greg Ebinger (Spring Valley) and Heather Harley (Kooringal) are the 2018 Cranbourne Senior Amateur champions after both players proved their consistency over the two-round tournament. Ebinger came from two shots behind overnight shooting 76 in the pristine morning conditions. Ebinger’s total of 154 was one shot clear of round one leader John Wheeler (The National), fellow National member Kym Johnson and Eastern’s Andrew Hansen. Hansen took out the top prize in the nett section with his 147 for the two rounds. Heather Harley held strong in the women’s scratch stableford section finishing with 49, 10 shots ahead of Helen Drake (Dorset). Susan Lush improved on her second round and finished in third place with 38 points. 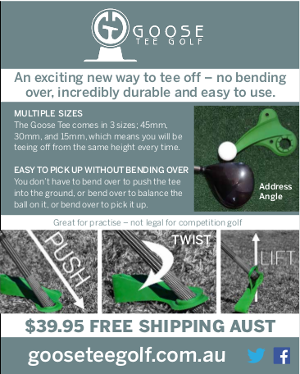 For further golfers should visit the Golf Victoria web site (www.golfvic.org.au) . The 2018 Castle Hill Seniors saw victory go to the smiling veteran Greg Stanford. Although eligible for the Over 65 division Stanford showed his younger rivals how to play the challenging course with a fine round of 75. Stanford defeated Geoff Cranfield (Long Reef) and Michael Brown (Lakeside) after they had returned rounds of 76. Nathan Mainhoff made the trip from Crescent Head well worthwhile with his victory in the handicap section with 37 points. Paul Fink (RACV Cape Schanck) was another visitor who enjoyed the day with his handicap runner up prize. Local member Mark Pearson has won the 2018 Mona Vale Seniors with a good score of 75 defeating Warren Gorton on a countback. Pearson was the defending champion having won the title in 2017. Henry Kim (QANTAS Club) was the overall handicap winner with a score of 69. Other winners on the day included Warren Gorton who won the Division 1 scratch and Scott Beverley who took home the nett prize after a round of 72. Trevor Beale (Mona Vale) and Brad Fifield (The Coast) were the winners in Division 2. Congratulations to Warren Gorton from Hawks Nest GC for making it back-to-back Pennant Hills titles when he claimed victory in the 2018 Pennant Hills Senior Amateur with a round of 72. He defeated Richard Greville & Steven Puskaric on a countback. Monday, 5th March was the 2018 Redcliffe PresCare QSOOM event, with a total of 112 players (101 men and 11 women) competing. This was the largest field for the 2017-18 year to date and all who attended had a most enjoyable day. On Tuesday 27th February, the 2018 Arundel Hills PresCare QSOOM event was played with a total of 66 players (51 men and 15 women) competing. Even though they had all experienced a very wet weekend, they ended up having a beautiful day with not a drop of rain during the round. The course was surprisingly dry despite all the rain that had been dumped on the Gold Coast in the preceding days. As is usually the case for Arundel Hills, it looked great and the course played quite tough. Further information is available on the Golf Queensland web site (www.golfqueensland.org.au). A well-presented course and a superb late summer’s day with only a gentle breeze gave competitors every opportunity to post good scores in the 2018 Blackwood Senior Order of Merit Event. However, the subtleties of the Blackwood greens caught out many of the 71 players in the field out and good scores were limited to the locals, former members and a few others. Norm Cordina (Tea Tree Gully) stole a march over some of his rivals with 74, but only nudged out former Blackwood member Nigel Turner (Links Lady Bay) on a count-back. The other key contenders, John Davey and Bruce Lindner, had ordinary days by their standards so they will be out to make amends at the next event at Mount Osmond. The Seniors Nett saw locals Phil Donaldson and David Lewis take out the honours, split by regular competitor Shane Amor from The Grange and keen newcomer Ian Alexander (Tea Tree Gully – but formerly Blackwood). Donaldson’s nett score of 70 showed it could be done! In the Super Seniors, scores were disappointing with Ken Brown (Tea Tree Gully), playing one of his rare events between spending his retirement travelling around Australia, being a popular winner with 77 with a 5 shot gap back to the best of the rest. In the Nett Event, scores were closer Ken Brown (71) was again the best performer from Trevor Clark and Eric Lane (73).